Ich habe für euch eine neue Entdeckung für den nachhaltig sortierten Kleiderschrank gemacht. Style trifft Eco-Love bei „Upmade“ und die Sachen sind bezahlbar. Upmade hat so eine Fashion-Kreislauf entwickelt. Upcycling ist das neue Schwarz! …könnte man fast schon denken, denn immer mehr Labels setzen darauf. Überschuss-Produktion in schicke neue Teile umzuarbeiten, anstatt sie einfach auf dem Müllhaufen zu entsorgen, ist der neue Nachhaltigkeit-Trend. Das ist genial! So werden die Müllberge vermieden, Überproduktion sinnvoll abgeschafft und die Sachen sind absolut stylisch. In der Mode ist das nämlich oft so, wie in Supermärkten und Bäckereien. Wir leben im Überfluss und weil Nahrungsmittel so billig sind, Supermärkte und Läden für jeden Kunden bis zum Schluss volle Regale haben wollen, wird zu viel produziert und der Rest einfach weggeworfen. Da kommt Upmade ins Spiel. Das Label hat eine Win-Win-Situation entwickelt, aus dem nachhaltigen Blickwinkel betrachtet. Genauso wie in vielen Supermärkten und Bäckereiketten, ist es auch in der Modewelt. Die großen Labels produzieren zu viel und werfen die Stoffe, die sie dann doch nicht gebraucht haben, einfach weg. Das heißt im Umkehrschluss, dass mehr produziert wurde, was wiederum die Umwelt belastet. Anschließend wird dieses MEHR dann auch noch weggeworfen, was auch wieder die Umwelt belastet. Das alles ist so absurd und erschreckend, oder? Wir verschwenden im Überfluss, anstatt kluge Wege zu finden mit unserem Wohlstand umzugehen. Labels wie Upmade wollen diesem Kreislauf ein Ende machen und schnappen sich die Überproduktion zu einem günstigen Preis und bauen daraus frische neue Teile. Bei Upmade in einem Sportlich-Urbanen Look. So kommen sie günstig an die Stoffe und können nachhaltige Mode zu einem bezahlbaren Preis anbieten. Das ist dazu auch noch schwer kreativ, denn die Designer von Upmade müssen aus dem, was sie aufkaufen können, etwas kreieren. 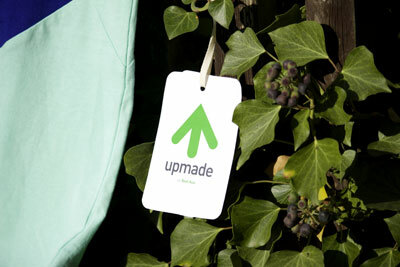 Die Sachen von Upmade gibt es in diversen Online-Shops. Entsprechend cool sehen die Teile dann auch aus. Upmade hat mir eines seiner Shirts zur Verfügung gestellt und ich habe es für Euch einmal durchgetestet. Es durfte sofort in meinen Schrank wandern. Man merkt dem Stoff an, dass er aus der Überproduktion eines guten Labels stammt, er ist kuschelweich. Für Euch habe ich mir die Erfinderin des Labels geschnappt. Reet Aus hat als Studentin angefangen sich mit dem Thema zu beschäftigen und aus einer Diplomarbeit und Liebe zum Theater ist schließlich ein ganzes Label geworden. Wie das alles kam? Das hat sie mir im Interview erzählt. 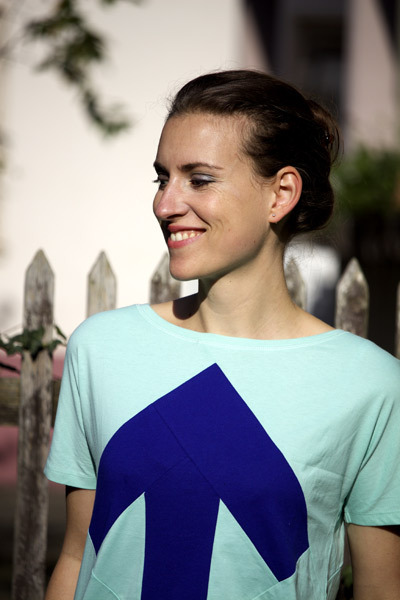 Petra von Hollightly: Your label is all about upcycling – whats your definition of upcycling? Reet Aus: Upcycling is a process of converting leftover materials into something new and beautiful by adapting the production processes with the help of design. As a result, new and fresh add-on styles can be produced. Petra von Hollightly: I have read, that the beginning of everything was a doctoral research of Reet Aus? What was it about exactly? Reet Aus: I began to test different sustainable techniques that were based on the concept of remaining local (redesign, upcycling, plant-based dyes, etc.) but which, in theory, could be sold to a global market. I wanted to understand if and how it would be possible to influence the existing fashion industry and whether these techniques could also be applied to mass production. Petra von Hollightly: But why did you choose this kind of production for the doctoral research and for your fashion label? Reet Aus: My previous years of study had shown me that the functioning of the traditional fashion industry is not compatible with my view as a designer of how a garment should be manufactured. I found myself increasingly feeling the need to do things completely differently, often the opposite of the standard practice. The reason for this was that I had begun to see how wasteful and environmentally damaging the activities of the existing fashion industry could be. The signals were too loud and clear to be ignored. This made me realise that creating something does not have to mean destroying the environment and people in the process and that creation does not have to be only based on profitability. The contrast between the locally acting communities and the global fashion industry was surprisingly large. And yet, local action does not preclude the application of global ideas – it is the already global mass production cycle that precludes attention given to local communities and the environment. The saying “think global, act local” became very important to me. Petra von Hollightly: Do you think, that the world will get better and better, that the people will learn to behave more conscious? Is your label some kind of little step towards the right direction for you? Reet Aus: Absolutely, as consciousness of people will increase in time. It already has been increasing throughout the last few years and people are making much smarter and rational decisions. When talking about my own lable, then I definitely belive it a step towards the right direction and not only for me, but for others and for the whole global fashion industry as well. 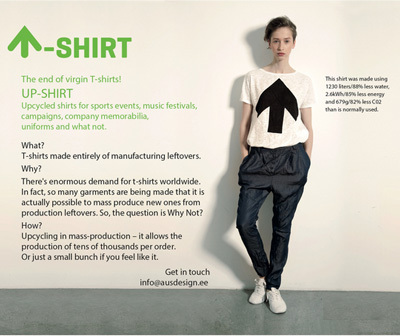 Petra von Hollightly: How can I imagine… how does the Upcycling process work in your company? For example: Do you go to other companys before creating your next summerlook and after checking the waste and the fabric, the design starts? Or do you do the design first? Reet Aus: Currently we work mainly with one massproducer called Beximco. We start with production and waste analysis from which we move into testing all the different possibilities how to bring the waste back into production. 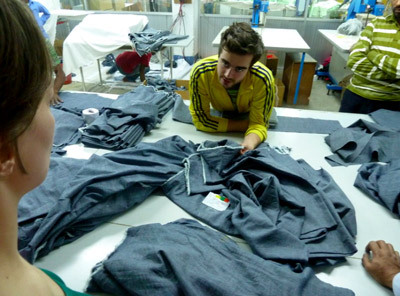 Reet Aus: Our goal is to cooperate with more big brands and mass producers. The whole concept behind upcyling works best when implemented into mass production and into the same factory where the waste is created. If all brands would implement upcycling into their design from the start, we could significally reduce the environmental impact of global fashion industry. Petra von Hollightly: How does the upcycling-process influence the style and look of your label? 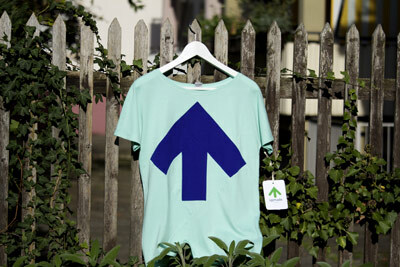 Reet Aus: In upcycling design is the tool to solve a problem. Designer being limited to work with the already existing materials and its characteristics means that the design process as a whole starts from another, much narrower point. Petra von Hollightly: Your clothes are tailored in Bangladesh, which is known as a terrible spot for industrial tailoring. Because of bad conditions of employment. How do you secure good conditions for your own label? 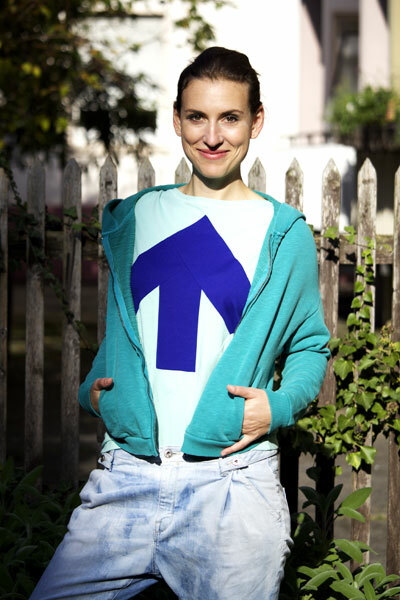 Petra von Hollightly: „Trash for trend“ is the motto and a call for less waste – which I love! This is such a great idea! Could you tell in data how much water or CO2 or energy you do save by upcycling the fabric, that has been wasted otherwise? A Shirt for exmple? 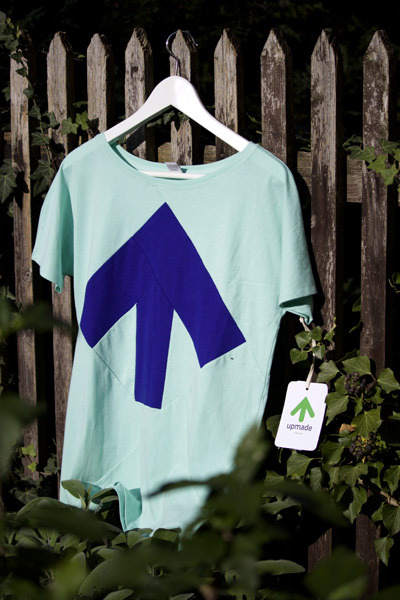 Reet Aus: Upcycling gives great results, as the calculations show that each new garment in our latest collection, enabled to save on average 70% of water and create 88% less CO2 emission. Petra von Hollightly: I’m very interested in your cultural engagement. You do Theater and Film too? All with upcycled fabric? That seems very difficult to me, because especially for theater-costumes, there’s fabric needed which suits to the play… isn’t this sometimes hard to find? 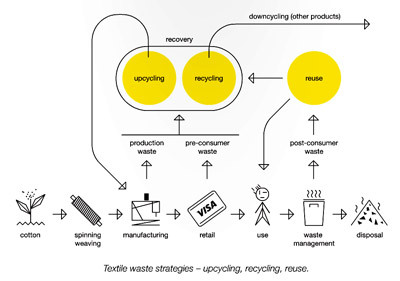 Reet Aus: To be honest it is not difficult as unfortunately the amount of postconsumer waste which comes from textiles in Europe is very large. Petra von Hollightly: The last but always asked question on hollightly: Could you describe the style of your label in three words? Petra von Hollightly: Thanks for the interview, it was a pleasure! Dieser Eintrag wurde veröffentlicht am Bloggerei, Frauen, Green Fashion, Männer, Mode und Couture. Setzte ein Lesezeichen permalink.